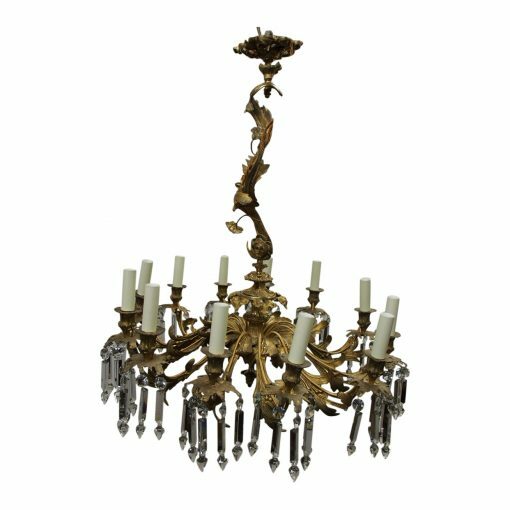 Circa 1870, crystal and original ormolu mounted French chandelier. With an open fretwork ceiling rose and single column in the form of leaves and branches with flower heads, and at the base there is a large circular bezel. 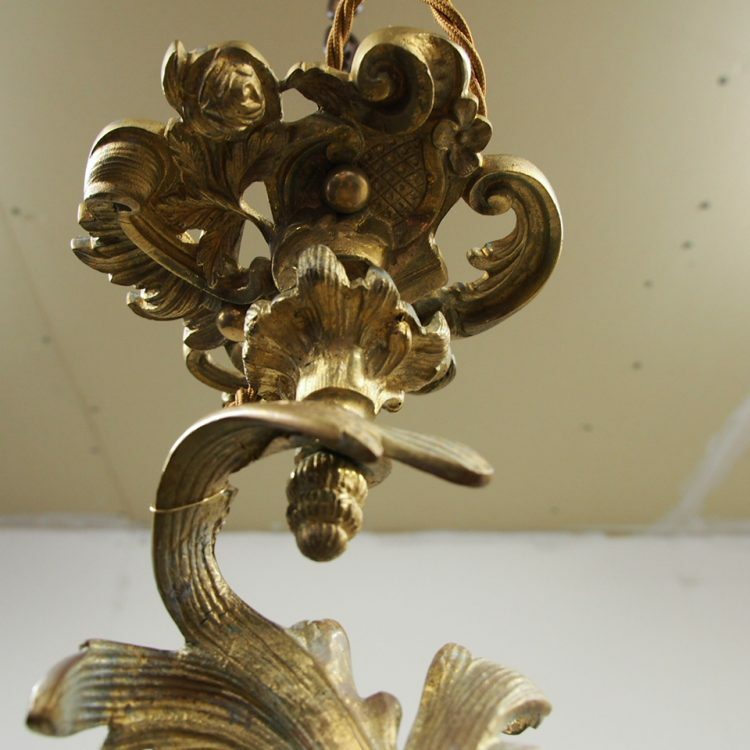 With various tiers and levels, fluting and leaves and from this each of the rococo arms comes off to a light fitting. The light fitting has a drip tray, open fretwork and stylish leaves, and beneath these again there is glass crystal drops. The underside of the chandelier (when looking up at it) has a lovely consistency as each of the leaves follows the same direction as the one in front of it, with a mixture of flat gilding and ormolu. In the centre of the base there is a large circular cornet and from this protrudes a lovely stylish finial. We have had it re-wired for electricity (originally gas). Size 78 cm high x 70 cm diameter (approximate).